Today Winterhaven Books, has the wonderful opportunity to review, INFINITYGLASS, the third and final book in Myra McEntire's hit Hourglass series! Egmont USA is offering one lucky winner a chance to win a hardcover copy of INFINITYGLASS, as well as an INFINITYGLASS, poster. To enter just fill out the Rafflecopter form below. This giveaway is US only. Good luck! The stakes have risen even higher in this third book in the Hourglass series.The Hourglass is a secret organization focused on the study of manipulating time, and its members — many of them teenagers -­have uncanny abilities to make time work for them in mysterious ways. Inherent in these powers is a responsibility to take great care, because altering one small moment can have devastating consequences for the past, present, and future. But some time trav­elers are not exactly honorable, and sometimes unsavory deals must be struck to maintain order.With the Infinityglass (central to understanding and harnessing the time gene) at large, the hunt is on to find it before someone else does.But the Hourglass has an advantage. Lily, who has the ability to locate anything lost, has determined that the Infinityglass isn't an object. It's a person. And the Hourglass must find him or her first. But where do you start searching for the very key to time when every second could be the last? There was a subtle, slight hitch in her breathing. "Your breath just caught." I said it without thinking. "Maybe it did. So what?" She angled her chin up at me. "Nothing. It's just...it's only fair. You make mine catch all the time." After a pawnshop job gone wrong, Poe Sharpe transported himself and Hallie Girard just a few blocks away from the bad guys, but he actually set off a genetic stressor to trigger the effect of the Infinityglass gene.Thus changing the space time continuum and unintentionally alternating Hallie's abilities. Dune Ta'ala knew it was time to grow up sometime and this job opportunity is the chance he's been waiting for. He never thought being a bodyguard to ultimate power could even be possible and still shocked that the all powerful mythical object known as the Infinityglass is actually a person. But the ripples in time are quickly multiplying and taking over this world. Dune and Hallie could repair it, but the question is, could they survive it? 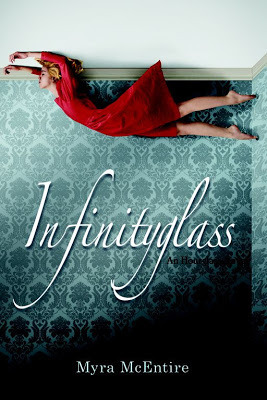 The Infinityglass is the final installment in the Hourglass series and what an explosive ending we got! Myra McEntire has such a fierce gift for storytelling. I love the voices she gives to each of her characters. It's always filled with good humor, witty dialog and amazing chemistry. Time travel and supernatural abilities are the perfect combination for a fascinating and intriguing concept. It was so much fun seeing how this latest mind-blowing situation would all play out. I've really grown to love the outstanding cast and this freshly unique world and I'm so sad to see it end. Told in two alternative pov's, Dune and Hallie are a sharp and sassy pair that fans will fall in love with. Dune has the ability to control water, the tides and even the moon phases. It's not always easy to control and has been a haunting memory for Dune since he was young boy. I really just loved Dune in this book! He's the kind of guy who's clean cut, walks the straight line and always plays it safe, he's Mr.Dependable and morally correct. It was really great to see Hallie get under his skin, taking down each resolved layer and finding something they never thought could happen. I really loved the way these two brings out the best in each other. The banter was comical and the romance was a seductive little dance between sexual attraction and emotional need. They made my heart happy. It was also really great to see Poe, Emerson, Michael and Kaleb again as well as some of the other characters from Hourglass. I loved what they brought into this installment. It wouldn't have felt complete without them. All in all, I really had a great time with this book. It was action packed, pulse pounding with a steady stream of intrigue and excitement from the very first page till it's gripping conclusion. I'm looking forward to tackling McEntrie's next escape, what ever that may be. Till then, fans of the Hourglass series are going to love this final adventurous addition. What a brilliant way to end an amazing series. This is one world I'm truly going to miss! After spending an amazing day and night together in Paris, Just One Yearis Willem's story, picking up where Just One Day ended. His story of their year of quiet longing and near misses is a perfect counterpoint to Allyson's own as Willem undergoes a transformative journey, questioning his path, finding love, and ultimately, redefining himself. "I’m not sure it’s possible to simultaneously love something and keep it safe. Loving someone is such an inherently dangerous act. And yet, love, that’s where safety lives." Wow! What an absolute treat! I've been looking forward to Just One Year since the moment I finished the first book in this series. Just One Day left me with a craving and curiosity to dive even deeper into the lives of Forman's newest cast of characters, where Allyson and Willem enjoy a chance meeting that unfortunately ends after just one day. First off I must say Just One Year did not disappoint one bit. It surprised me in more ways than one, but it also lived up to my expectations of the magic Forman is able to create when she blends her characters, setting and narrative to deliver an experience that marks writing at its best. 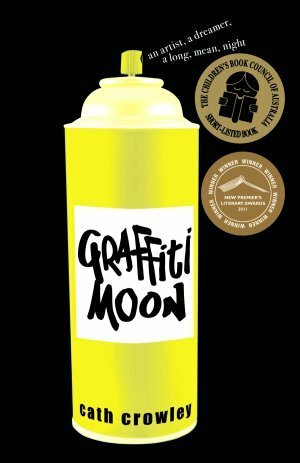 Where I've often commended Australian authors for the authenticity and realism they are able to create, Forman’s powerful yet subtle approach to bringing her characters to life brands her as a writer worthy of applause. What I loved most about this book was that I remember wanting to know so much more about Willem than what we got in Just one Day. He came across as such a mystery that I couldn't wait to uncover. Well, in his story we truly get to peel back the layers of this intricate character as we travel with him through the cities and streets of Amsterdam, Utrecht, Mexico, and Mumbai in a quest to find a girl he met one day in Paris. After months of traveling, retracing steps, wondering what he’s possibly missed that might help him find her, he realizes that before he can accomplish that, he must first find himself. There was so much depth to his life that the first book only touched the surface of, and when he takes the stage in this newest installment, we discover an entirely different Willem that I ever thought possible in book one. To learn about what he’d recently lost that molded the person he was when he met Allyson, struck an emotional chord that drove the intensity of his journey throughout this novel. "I miss my father… I miss my grandfather. I miss my home. And I miss my mother. But the thing is, for almost three years, I managed not to miss any of them. And then I spent that one day with that one girl. One day. One day of watching the rise and fall of her sleep under the rolling clouds in that park and feeling so peaceful that I fell asleep myself. One day of being under her protection…her grip so strong that it felt like we were one person, not two. One day of being the beneficiary of her strange generosity – the barge ride, the watch, that honesty, her willingness to show fear, her willingness to show courage. It was like she gave me her whole self, and some how as a result, I gave her more of myself than I even realized there was to give. But then she was gone. And only after I’ve been filled up by her, by that day, did I understand how empty I really was." It's moments like this throughout the novel that add that emotional element driving the narrative to an exceptional level. Forman truly has a way with words that offer insight and revelation in one powerful surge. In addition, we got a chance to meet a carefully crafted secondary cast that pushes and pulls the novel in various directions steering the flow of the story in perfect cadence with Willem’s journey. To meet Willem’s family, friends and acquaintances was quite the experience. I loved his band of friends that helped him on his quest to find “Lulu” and I enjoyed reading about his family that molded Willem in unique ways. I believe this book marks one of Forman’s more character driven novels as she skillfully uses the cast to build on the drama and intensity at perfect moments throughout. On a final note, I have to share the power of the flashback moments in Paris. To see how that day branded him in ways the events of the last twenty-one years haven’t quite managed to do was quite emotional. My only regret was not reading both books back to back because there were moments that I wondered how close these two characters came to finding each other throughout the book. However, I guess the beauty in these missed opportunities lies in the fact that they weren’t quite ready to collide until they both discovered themselves first. As with most authors that move me with their stories, I can never quite get enough. Having enjoyed Allyson and Willem’s stories in their separate stages, I wonder will they one day get a novel that brings them together from beginning to end? As much as I have to admit their story is complete and my imagination can take it from here, this is one of the few times when I wish Forman would keep telling us more. :) Love this book to pieces! "Bravery was doing something dangerous without thinking. Courage was walking into danger, knowing full well the risks." *Quotes were taken from an ARC edition of the book. P.S. Thank you to the lovely people at Penguin for sending me this coveted book on my wish list. To receive an ARC of Just One Year, I can only describe it as Christmas in July. So, again thank you so much Penguin for making my summer! Shear bliss! "But one hundred and fifty-seven stayed. And now I get to put their faith in me to the test." 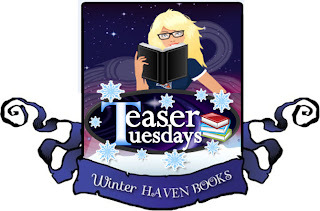 Today WinterHaven Books has the pleasure of participating in the blog tour for After Tuesday by Renee Ericson, hosted by Itching for Books. Family really is a pain…especially when your father is an addict.For the last two years, high school senior Ruby has been her own rock and solace. She has learned to depend only on herself and hides her family's issues by keeping herself somewhat unnoticeable. Despite her isolation, Ruby has intrigued the affections of someone unexpected. Finding herself loving life once again as his persistence sparks a romance awakening a well-protected heart. After Tuesday is a story about a girl named Ruby Miller, who just moved to Illinois from Chicago so her dad can find work, but she's had to find her own way these days since her dad finds more comfort in a bottle then having a conversation with his daughter. But it's okay, Ruby's been surviving just fine without him for the last two years and only has one more year before she turns eighteen and she can start a real life. But things are looking up when the unexpected Brent Cromwell, one of the most popular guys at school notices her while picking up his brother at camp White Ash, where Ruby worked for the summer. A bright bubbling romance begins for these two hearts, but it's hard to let yourself feel happiness and fall in love when your father is an addict. Love is messy and complicated and Ruby will soon realize that it's okay to let someone in, even if it means getting hurt. Aww, I really enjoyed this book. If I could pick one word for this, it would be so so sweet. Renee Ericson's writing is wonderful. She realistically and beautifully captures that feeling of falling in love and all the intense emotions that comes with it, but at the same time showing us the shame and guilt of having someone you love be an addict, making this story both a heart lifting and heart breaking journey on the road to self-discovery, acceptance, trust and an ultimate love. First, the love story. There is nothing more powerful then the first time you give your heart to someone else. Trusting that person enough to know that he wont hurt you. The feeling of new and being able to explore the simple sensation of being happy. To take each 'getting to know you' moment and holding on to each memory just a little bit longer each and everyday. Ericson did such a sensational job conveying that feeling of being young and in love for the first time, taking me back to my own memories and experiences when I was young and love was just as crazy and intense and so very messy. But this story is also about the bitterness and loneliness of having a parent who is fighting an addiction. It can feel like an endless battle of sadness, resentment, embarrassment and even fear and guilt to have someone you love feel desperate and empty enough to resort to such extreme measures for escape and your powerless to stop it. When one part of your life is all goofy grins, slow kisses and warm embraces, but another part of your life is filled with confusion, worry and anger, how do you find the in between? How do you let that person in? How do you let him see this part of your world? But soon enough Brent will show Ruby that with a little faith, hope, acceptance and trust, your heart will learn that it's bigger then you think. I really loved all of these amazing characters. They are all wonderfully developed and easy to connect with from minute one. Ruby doesn't have an easy home life, being the new kid is one thing, but having no mother and having to fend for yourself for the last two years while your father basically turns into a stranger is an entirely different story, and yet, Ruby remains positive, kind and good hearted instead of falling into bitter and despair. I could see why it was hard for her to let Brent into her hidden little world and how she wanted to live in this romantic bubble a little longer with him instead of coming clean about what she has to deal with. Brent is one of those amazing guys who is popular and gorgeous and athletic and could have any girl he wants. I love the fact that he's willing to put himself out there and that he makes mistakes but makes up for them come the end, but most of all I love the way he loves. Brent and Ruby have so many precious moments between them I could have practically highlighted the entire book. Those were my favorite parts, the falling part of being in love. Holding hands, first kiss, first 'I love you's' and then that first time. It really does take me back to the magic of it all and I loved experiencing it all over again with Brent and Ruby. I also really enjoyed what the secondary characters brought into this story. I loved the fact that we didn't have any mean girls in this one and that everyone seemed to accept Ruby into their group. Lexi was a great best friend, I loved her infectious playful personality. And even though Ruby's dad is going through something complex, I liked the fact that he still loves his daughter and it didn't involve abuse or meanness that I usually find in most books with this particular topic. All in all, I had a lot of fun with this book. Fans who want to smile and sink into the sensation of falling in love will want to read this warm, loving and touching summer escape filled with heartwarming characters, heartfelt issues and terrific writing. I can't wait to see where Renee Ericson takes Ruby and Brent next with the follow-up sequel, Forgotten Yesterday. This one made my heart happy, and really, what more can I ask for. Well done! Renee loves to wear hoodies, is fluent in Yoda speak, and likes to make videos with Lego figures. She is a long time insomniac, but doesn't have the energy to start an underground Fight Club so she settles for writing stories about the characters who plague her mind. She grew up in the Midwest and currently resides in the Boston area, but sounds nothing like Ben Affleck or Matt Damon. THIS CONTAINS SPOILERS YOU ARE WARNED!! This book made no sense whatsoever. I am beyond frustrated because the summary sounded so good, but what I read was not what I was promised. I very rarely give out 1 snowflakes and when I do I am not very happy about it at all. I can always find something in a book that makes me like it, but with Insomnia I can't find anything unfortunately. I am going to limit this review because I don't want to get too ranty so I am going to discuss the major problems I had with this story. The first being how unorganized the story was. In the beginning Parker just wants to sleep without falling into a persons dreams and when he finds this peace in Mia he becomes addicted to her. Okay I get that she gave him peace, but instead of stalking the poor girl why didn't he try and become her friend? He didn't have to tell her about the whole Watcher thing he had going on, but he could have acted like a normal person and just bonded with her. It wouldn't have been that hard for him either, she was Addie's (his best friends sister) best friend and she played soccer which is something they both had in common. It seemed so unnecessary for Parker to become this weird psycho stalker. Plus why didn't Mia go to the police?? She had evidence that she was being stalked! I was really frustrated by these events. That was one part that didn't feel real or organized, the other bigger part was the whole Darkness vs whodunit vs Skull Bones guy. All three of these are thrown into a story that was so inconsistent that I never knew what was going on. The Darkness is the part of Parker that is trying to take over his body I'm guessing anyway. When Parker would fall asleep this Darkness would take over and do weird things like watch Mia sleep at night. 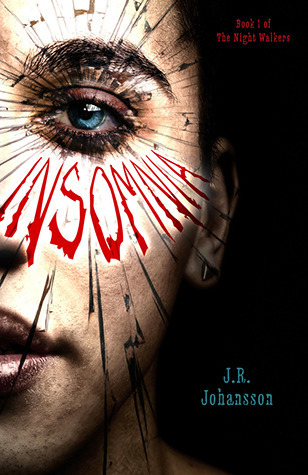 What I don't get is A.how can someone black out if their brain can't sleep which is Parkers big issue in this book and B.In the end we are shown who the villain is and since it wasn't actually Parker I don't get what role this Darkness plays. Yes this thing did influence Parker to kill a person in a dream that so happened to actually kill them in real life, but the the author chose to move focus from this thing to something else entirely making me feel like this whole Darkness stuff wasn't that important. I simply just don't get it. The villain is another area where I am completely lost. I don't understand why this character was ever brought in to be the big bad guy and all it did in my opinion was bring in another strange disconnected storyline. If the bad guy had turned out to be Parker and his dark side then I at least would have understood where the story was going, but this random person did not help the story at all. The introduction of the Skull Bones guy was really not good timing and it felt like to me as a reader as a cheap way to try and make me read the sequel. This piece of information should have been brought in way sooner than the last page and honestly it was more interesting than the other 300 pages that I did read. Okay so that was a long rant sorry about but well I just don't get it! I really wanted to like this book, but I just didn't and I feel very disappointed. Rachel Harris has done it again! 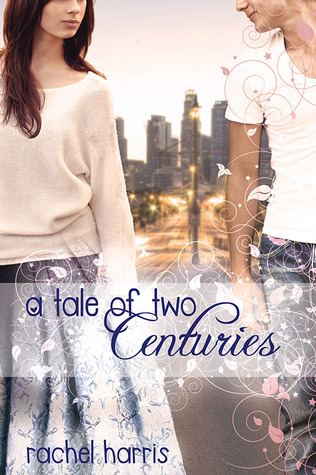 A Tale of Two Centuries was everything I could have hoped for in this second installment. Living in the Sixteenth Century didn't allow the women to perform on stage, or to court whom they chose or even travel unaccompanied. 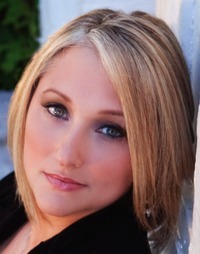 Groomed since birth to be a suitable wife and partner, Allesandra dreamed of doing more. Acting on a stage and being able to make decisions for herself was only a mere vision until Reyna, the gypsy girl grants what only could be dream for Allesandra. Travelling through time and ending up on the doorstep of her future ancestor Cat's front doorstep. Along with the granted wish, there are three signs Less (aka: Allesandra) must watch for as after the third sign is revealed, her travel would end and she would be taken back to Sixteenth Century, Italy. Allesandra experiences a whole new world in the Twenty-First Century, and new opportunities she could only dream of present themselves. But time is not on this fair maidens side. As she grows fond of the life she is now experiencing and developing new friendships and relationships, Allesandra must make a choice. With the help of Cat, Lucas, and Austin, Less wants nothing more than to set a new path, in this new world with people she has grown to care for and love. With determination and strength, Less makes the toughest choice she had never believed possible. I cannot express enough how much I love this series. I instantly fell for the first book: My Super Sweet Sixteenth Century, and honestly, I knew without a doubt that Rachel Harris would impress once again in A Tale Of Two Centuries. The story was easy to fall into and captures all the relative responses to what we are so accustomed to. Imagine never seeing a shopping mall, sitting in a classroom, wearing form fitting clothes, a cell phone, going on dates or speaking your mind. What if you were not allowed to chose the man you want to spend the rest of your life with, who you actually loved because society chose for you? I couldn't. The story is so well plotted, and many unexpected twists presented, that I couldn't not fly through this. The characters and the chemistry were spot on and I absolutely loved Lucas and Austin! Less proved to be a strong female protagonist with a kind heart. This is the kind of story that I could read again and again. 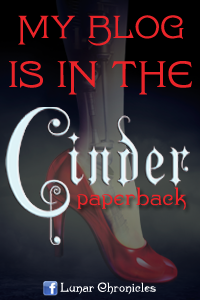 It's a whimsical tale that easily places you inside of those pages. This is a must read for anyone who enjoys time travel, historical fiction, laughter, action and Romance! On a misty cliffside, mystery and romance await. . . .Ivy Calhoun's life has been turned upside down. Her new stepdad has uprooted Ivy and her mom, bringing them to live in an actual castle in the misty Scottish countryside. There are stone-faced servants and shadowy corridors, and the ancient walls seem full of secrets. Ivy is at once frightened and intrigued.Especially when she meets Logan, a gorgeous, elusive ghost who has haunted the castle grounds for decades. Ivy is immediately drawn to him . . . but Logan is not the only spirit around. Something dark and deadly is afoot, and soon Ivy finds herself in mortal danger.Is Logan exactly what he seems? Could his mysterious past be tied to Ivy's present? And can Ivy stop herself from falling in love with him? After Ivy's mother found love again with Niall MacAlister, a Scottish Laird, they married and Niall brought them back to his home country in Scotland where they actually get to live in an an old creepy castle on the Glenmorrag estate. Complete with gargoyles, servants and screaming peacocks, Ivy knows she's not in Charleston anymore and while she's scared, she's also very much intrigued. Specially when she meets Logan Munro, the castle's resident ghost.They may have had a shaky start, but soon enough Ivy starts to care about him and wants to try to solve what happened to him centuries ago. But Logan isn't the only lingering spirit around and this one doesn't seem to have Ivy's best intentions at heart. Can Ivy and her new found friends solve the mysterious curse surrounding Glenmorrag castle and Logan Munro before it's to late? Or will Logan be lost forever along with Ivy's heart. You know, I knew I always wanted to read Forevermore, but I never thought I'd love it the way I did, nor did I think it would be an instant favorite. Don't you just love when book do that? This would be Cindy Miles first novel in the YA genre and the first book I've read by her, but it wont be my last. Miles writing is very smooth, clever and very strong. I loved how easily comfortable and absorbed I was while reading, losing myself within these pages from start to finish. What I loved about this book is that it's set in modern times but I felt like I was transported to a different time within the walls of Glenmorrag and around Scotland countryside. The atmosphere was thick and rich and filled with old magic you could taste. It was truly beautiful writing. I also thought it was rather cunning of Miles to bring in character from her adult books and adding them to the plot line. I've never read Highland Knight before, but hearing Amelia and Ethan's story in this book makes me want to run out and read it as soon as possible. It was a brilliant fit to Logan's own situation and provided the necessary explanation to piece together and support the plots concept, making it more plausible and exciting. It's true that the story line wasn't anything I haven't read before, but it doesn't stop me from enjoying Miles take on the supernatural good times. In fact, I couldn't seem to get enough and find myself wanting more. There are so many great characters in this book and I loved every single one of them! Ivy is a wonderfully put together protagonist. I loved her voice. I love that despite being out of her own skin in Scotland she puts on a brave front and goes with the flow to make her mom happy. It's refreshing from the usual bratty characters that I tend to find in these kind of reads. I love that she plays music and that it's apart of her and her connection with her father. She's also a fearless little thing and while she gets scared she's not afraid to confront the craziness around her. Logan Munro isn't like most guys I find in my reads. He's from a different time and age where good manners and chivalry still exists, (warnings and haunting's, pushed aside). I found him to be such a lost and endearing character. My heart really goes out to him. Died at the age of eighteen with no memories of his life before and roaming the world for hundreds of years can be awfully lonely. The connection between Ivy and Logan and the romance was light, clean and very, very sweet. Totally hug-worthy stuff my friends. There are also a list of amazing secondary characters that I grew quite attached to. Julia, Niall, Emma, Jonas, Ian, Serrus and last but not least, Amelia and Ethan. They all brought the perfect amount of awesome into the story line. Bottom line, Forevermore is a charming and enchanting story that entwines ghostly mysteries and a tender romance that was a complete joy to read. 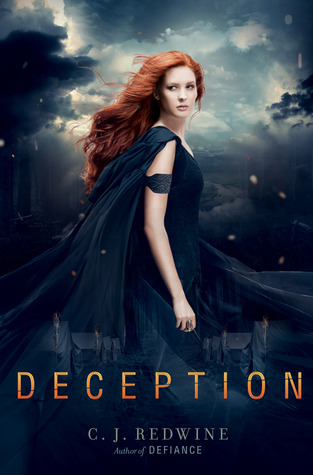 The writing is fantastic, the setting was mystical and magical and these characters truly stole my heart. I simply can't wait to get a hold of Cindy Miles other books, it looks like she has a new fan. This book reads like a standalone but I hope that Miles continues to write more for the YA genre. This was just all kinds of fun! Loved! Oh wow, this story feels like heartbreak on the horizon. I'm really curious to see if these two friends go through with marriage in order to save their friendship. Now that's what I call commitment! I'm looking forward to this story because a YA contemporary that includes friendship, sacrifices and potential love always seems to be the perfect ingredients to captivate me. Truly looking forward to reading The Vow by Jessica Martinez! Jazz looks at her chest. I pat her shoulder. "Guys care about personality too." "Girls like me started that rumor." "I've got this special way of getting the truth out of Dylan." "That's pretty special," I tell her, and hand back the mirror. I know I’m a bit late on this event recap post so my apologies, but I can honestly say that I still don’t think I’ve fully recovered from my trip to the ALA Chicago Convention that myself (Arlene) and Crystal attended at the end of June 2013. I want to start off by saying that I had one of the best times ever and that’s because an epic event occurred… well at least for me. :) I finally… I mean FINALLY got a meet my co-blogger Crystal after FIVE years of virtual book chatting and online fun. I can’t believe how long we’ve known each other and have been interacting with one another, so to finally meet was such an experience I’ll never forget. Shh I'm (Crystal) sneaking in to say I had a blast with Arlene! It was definitely the highlight of my trip meeting her for the first time! I have found it is super hard finding somebody who has the same taste in books as you do and I am so lucky to have met Arlene. We typically see eye to eye and it was so much fun meeting her in person and gossiping about our favorite books. I can't wait until our next book adventure! Okay back to Arlene! LOL Crystal! I was sort of bummed you didn't say something crazy or weird. That would have been fun to write about. :P Anywho.. so when we got to the convention after an hour long cab right in Chicago traffic (talk about a bonding moment! ), we barely made it in time to register and attend the Grand Exhibition Opening. Crystal and I were excited to not only enter the convention floor, but interact with some awesome publishers, amazing authors and fantastic bloggers. We were able to enjoy this event with our fellow book friend Rachel from The Readers Den, which I’ve had the pleasure to travel with to other book events on many occasions. It was like a BOOK.NERDS.UNITE! celebration - where we walked the convention floor and talked to publishers about current and upcoming book releases. 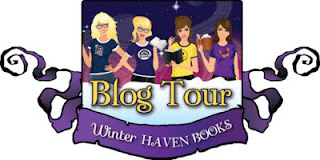 At this three day event, there were several authors we were excited to meet, including Marie Lu, Holly Black, Tracey Garvis Graves, Simone Elkeles, Sarah Dessen and many more. During our weekend adventure, Crystal, Rachel, myself and a fellow book buddy talked endlessly about our current and upcoming book reads. We had a book club night on Saturday where we enjoyed a Mexican dinner in downtown Chicago and talked for over two hours about books.books.books! One thing I just loved to experience was the excitement Crystal and I both shared by waking up very very early to meet and just hang out before the Exhibition opened. We’ve decided to make this an annual event because waiting another five years to meet up again just can’t happen. Such an amazing time that I know I’ll never forget. I will share that after high hopes of possibly getting my hands on Champion by Marie Lu, I was unsuccessful. :( Apparently there were no ARCs for the book. However, I'm excited to share that I did receive Just One Year by Gayle Formant from one of the lovely Penguin publishers who mailed me the book after the event. Thank you Penguin!! I can't wait to read it next!! Other than that, my trip to Chicago was pure bliss! But that’s not all!! We were able to bring back a book bundle for our WinterHaven followers. 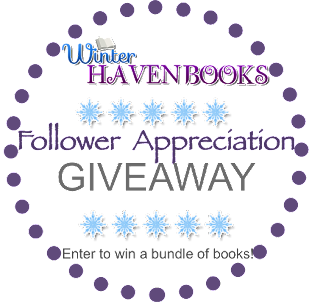 All you have to do is fill out the rafflecopter and let us know what book you’re most looking forward to. Because I'm still paying the price for my trip to Chicago, I have to keep this giveaway open to US residents only to keep my shipping costs down. Good luck! Giveaway Policy: No purchase necessary. Must be 18 years of age and older to enter. Must reside in the United States. These ARCs are paperback editions and are not for resale so there is no marketable dollar value. The number of eligible entries received determines the odds of winning. Winners will be selected after August 17, 2013 randomly by Rafflecopter. Entries will be reviewed for accuracy. 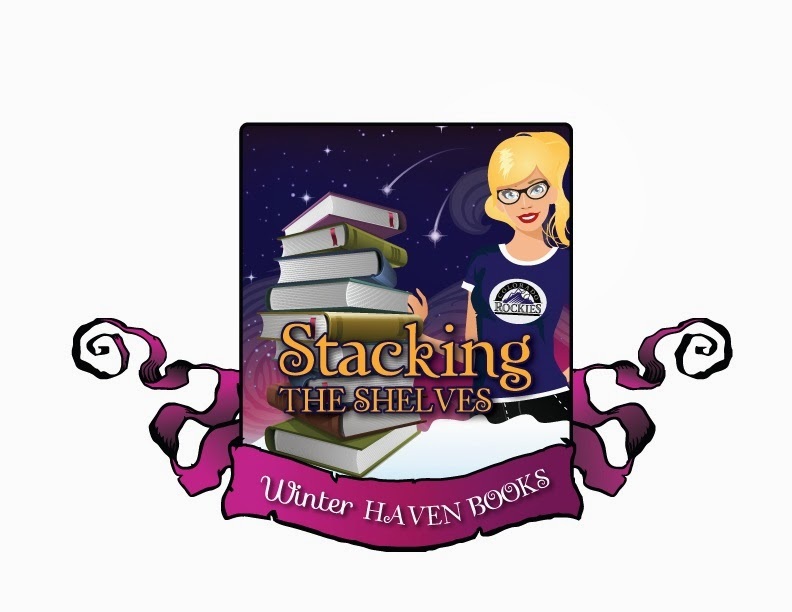 WinterHaven Books is not are not liable for lost items shipped/emailed. If the items are not claimed via email within 24 hours of receiving notification the item will be forfeited with no winner or an alternate winner may be selected at blog’s discretion with email verification by August 20, 2013. WinterHaven Books has the right to obtain and publicize the winner's name and likeness. Void where prohibited by law. This week we received one book for review and OMG it is HUGE! We want to give a HUGE thanks to Penguin for sending this!!! Arlene has been squeeing ever since she opened the envelope that contained this beauty and the rest of us are right there with her!! I hope everyone had a wonderful week as well! Leave me a link so I can see all your pretties!